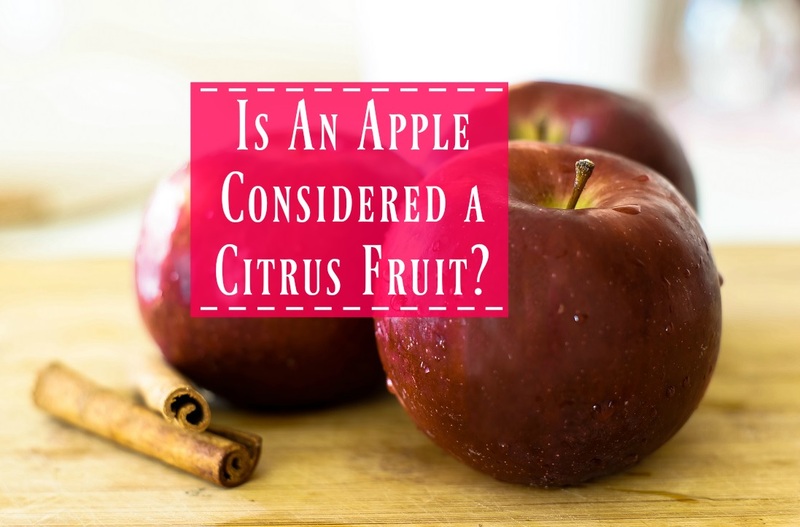 Home » Blog » Is An Apple Considered a Citrus Fruit? With many fruits sharing the same characteristics, it’s not always clear exactly what kind of fruit it is. This can be important for people with allergies, a certain diet, or even moral restrictions to eating a certain type of fruit. This even applies to something as common as an apple. Some fruits have hard flesh protected by papery skin and others juicy flesh inside a rind. By this definition, there is also some overlap with certain types of vegetables as well, such as tomatoes, but we generally seem to think of fruits as sweet tasting. An apple is the fruit of an apple tree, where the seeds are stored and protected by the hard flesh around it. The apple is actually related to roses with flowers that bloom in the spring and have a summer growing season. Apple trees grow best in a temperate climate with cold winters and a mild summer with some humidity. Because of their thinner skin and locations in moderate climates, apples are prone to going bad faster. This allows for their seeds to reach the ground when heat isn’t available to assist with the decomposition process. They last around a week at room temperature. A citrus fruit is actually a special kind of berry grown on large shrubs that resemble trees. Types of citrus include oranges, lemons, and limes, and are generally more bitter or sour in taste than an apple. It is protected on the outside by a peel and a juicy pulp covered with a white pith. The juice is full of ascorbic and citric acid, which is what gives it a tangy flavor. Both the pulp and the pith are edible, and though the rind is typically discarded, the outermost layer is used as a flavoring in recipes. It protects the inner pith and pulp, allowing it to remain edible for 2-3 weeks at room temperature. The rind is also used to create essential oils for use in cleaning products and aromatherapy. Unlike apples, citrus trees need much warmer temperatures to thrive. They originated in tropical and subtropical areas with high humidity and plenty of sunshine. This makes places like Florida perfect for growing citrus fruits like oranges. Both apples and citrus are fruits, and contain the seeds by which to grow new trees and shrubs. However, the apple doesn’t fit the description of most citrus fruits. There is no pith or pulp and it has a thin, edible skin protecting the flesh covering the seeds. The seeds are found in the core of the fruit rather than in a segment; an apple is one solid piece. The biggest difference is the absence of ascorbic and citric acids. The citric acid is what gives a citrus fruit its sour taste, overpowering any sweet taste there may be. Apples contain vitamin C as well, but not in near the same concentration as citrus fruits and none of the citric acid to interfere with the sweet taste. 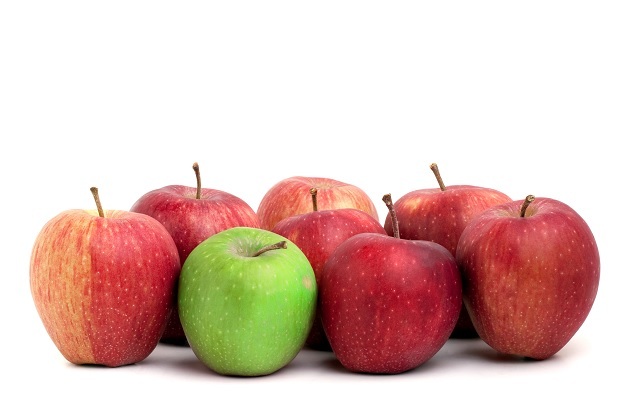 Though they seem very similar, there are several differences to tell apples and citrus apart. Apples have a solid, sweet flesh surrounded a core where you will find the seeds. Citrus fruits have soft, juicy flesh within a leathery peel. You don’t really want to eat the bitter peel on the citrus, but apples have edible skin that is a great source of fiber. While apples are full of vitamins, citrus fruit contains ascorbic acid (vitamin C), which gives it the tangy, sometimes sour taste. There are more things different than the same about apples and citrus fruits, making it clear that an apple is not citrus.